Maharashtra: Shri Devendra Fadnavis Hon’ble Chief Minister met with board members at Virgin Hyperloop One’s develop test tracks to view technology. The second half of feasibility studies advances for Pune to Mumbai Hyperloop project. Here are some photographs shared by the Chief Minister through his twitter handle. 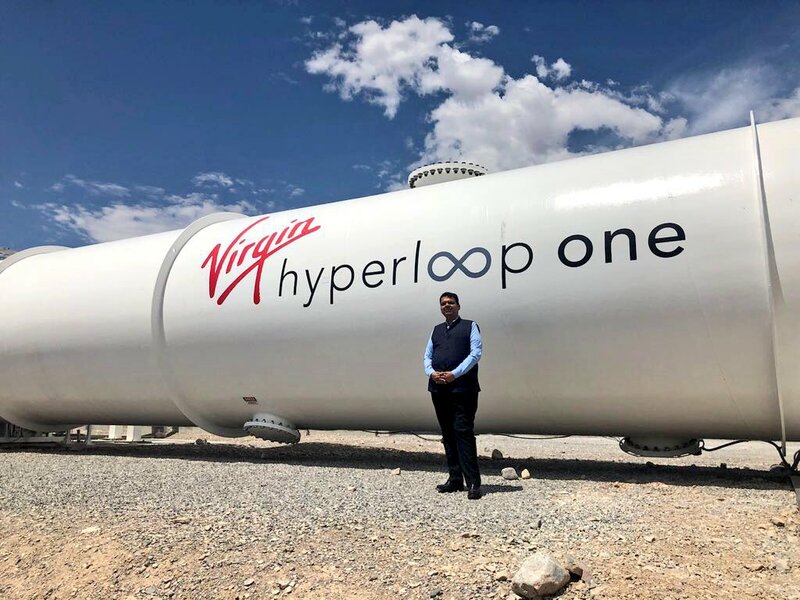 On 18th June 2018 the Chief Minister Devendra Fadnavis and the representatives from the state government and the Pune Metropolitan Region Development Authority(PMRDA) visited the virgin hyperloop one in Nevada desert at their full scale hyperloop test site which is being built upon the historic agreement which was signed in February to built the first hyperloop in India. 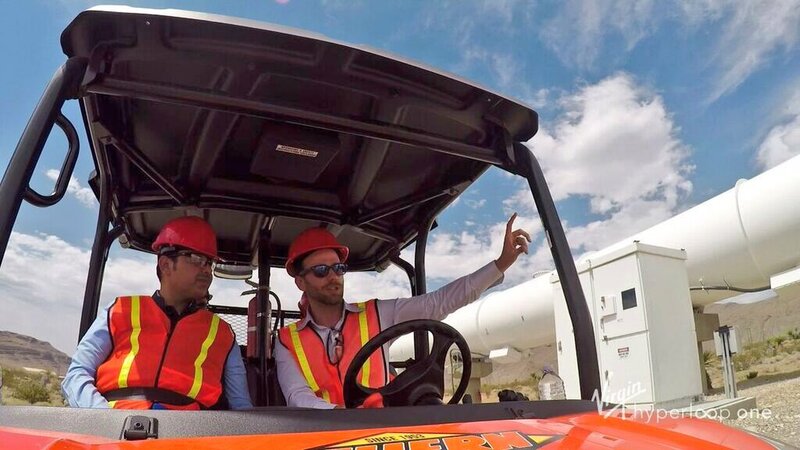 CM @Dev_Fadnavis visits @Virgin @HyperloopOne test site and meets the CEO and Board member @Rob_Lloyd in Nevada, USA. Virgin hyperloop was also represented by Justin Fisher-Wolfson and Nick Fox as they are on the board of directors. The Pune-Mumbai hyperloop is expected to finish this summer as it has currently reached the mid-point of the in-depth feasibility study. Shri Devendra Fadnavis said that “This was a very fruitful discussion and we should be able to start moving on this project very fast”. 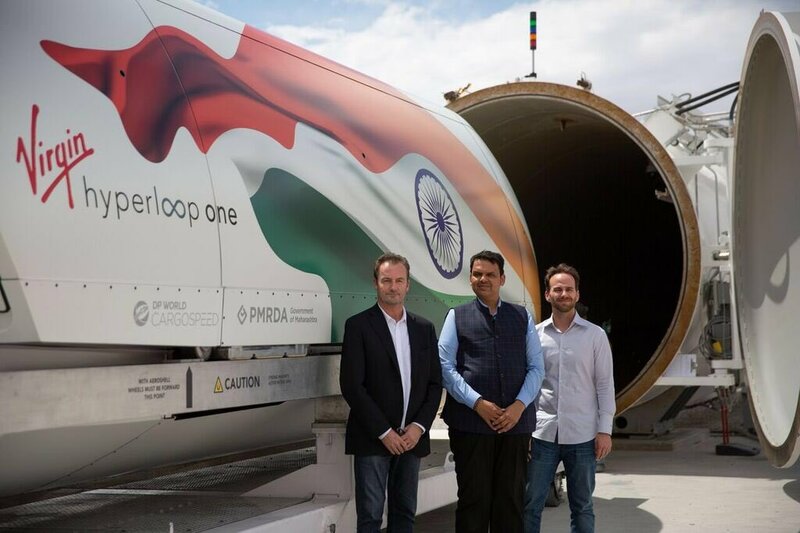 Virgin hyperloop one and the Pune metropolitan region development authority (PMRDA) signed the pre-feasibility study in November 2017 and on this basis they will build the findings route alignment including the economic and commercial aspects of the route environment impacts, the regulatory and safety framework and cost and funding strategies to deliver the project. All these things will be defined and analyzed by the virgin hyperloop one’s feasibility tram which consists of world-class experts from Systra Turner & Townsend and KPMG. The virgin hyper loops one significant portion of the system components are to be expectedly manufactured locally, mainly in Maharashtra creating manufacturing and new high technology jobs. The Hyperloop will connect 26 million and the route will link central Pune, Navi Mumbai International airport and Mumbai in 25 minutes. The high capacity passenger and cargo hyperloop route will provide citizens social and economic mobility and greater opportunities as the route will eventually support 150 million passengers trips annually and will save more than 90 million hours of travel time. The Hyperloop system will also have a pack transportation of light goods between the port of Mumbai and Pune which will create a powerful determination for on-demand deliveries, supply chains, and next-generation co-ordination. According to an initial pre-feasibility study completed by virgin hyperloop one the Pune-Mumbai route could include in Rs 350,000 in benefit of socio-economic which will result in accident reduction, time-saving etc over 30 years of operation. The Hyperloop system is 100% electrical which will be easy for the expressway congestion and will reduce up to 15,0000 tons annually of greenhouse gas emission.